Not only is it lighter and stronger, creating a more powerful swing from the head's counter-weight, the Grivel Tech Machine Carbon's shaft retains heat much more efficiently than aluminium alternatives, so your hands will stay warm when gripping your favourite member. The chromoly steel head is also superior in strength and is more hard-wearing than other types of steel, meaning you will get more swings for your buck, and the Machine's radically bent shaft easily clears bulges and cauliflowers and allows stable hooking on both ice and rock. Solid placements come easily, even when the ice gets unruly. 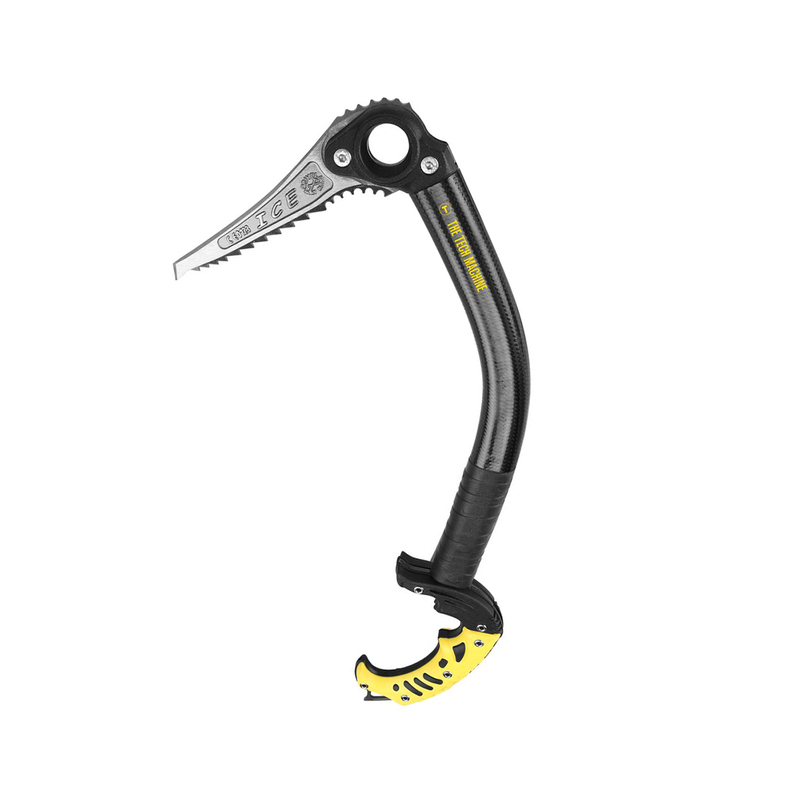 This is an extra durable, super powerful, heat-retaining ice axe for all seriously cold precision ice climbing and harsh dry-tooling sessions.